All HERITAGE PARK ESTATE homes currently listed for sale in San Antonio as of 04/24/2019 are shown below. You can change the search criteria at any time by pressing the 'Change Search' button below. "One story home in established centrally located Heritage Park Estates Community. Features 3 bedrooms & 2 baths. Formal living with 12ft ceilings, formal dining, eat-in kitchen w/ NEW dishwasher & Stove, and huge game room! Beautiful wood beams in formal living and dining! Great outdoor space with lots of potential! Recently painted deck! 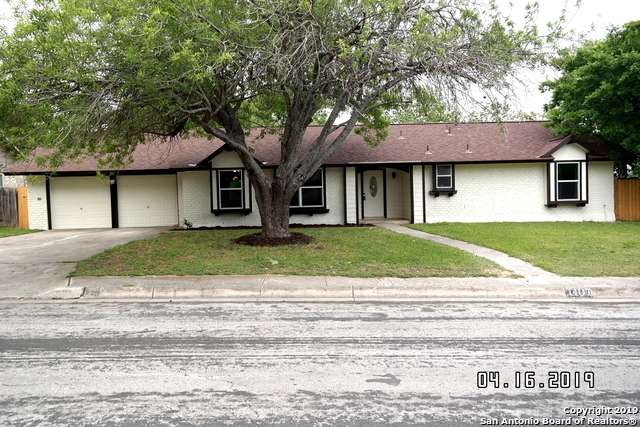 Close to lots of shopping centers, restaurants, San Antonio International Airport and easy access to HWY 281." "**OPEN HOUSE - SUN FEB 17th from 1-4pm**Beautiful home with a large open floor plan with cathedral ceilings! This home also features a two way brick fireplace and travertine floors. Gourmet kitchen boasts stainless steel appliances and granite counters. Unique designed master bath with dual vanity and porcelain / slate tile shower and floors. Excellent location with easy access to major highways, 1604 and 281, shopping, restaurants, AND MORE! a definite must see." "Make this your home!!!! New dishwasher, new windows, new water heater, new a/c unit, New shingles, freshly painted, new carpet, updated granite counter, new microwave oven. BIG BACK YARD!!! nice fireplace!!! Come see for yourself!!! nice friendly neighbors!!!!!!!" 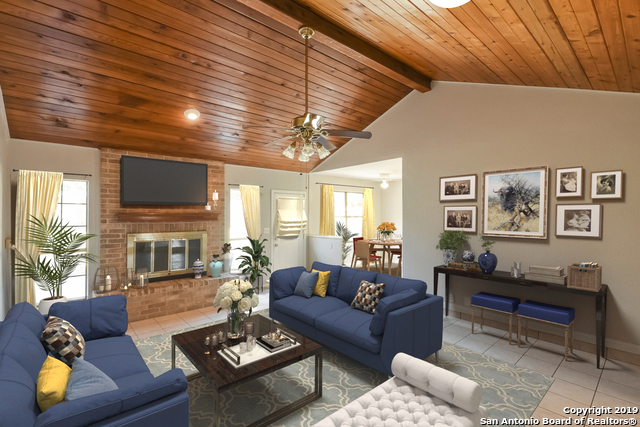 "This San Antonio one-story offers a fireplace and a two-car garage. Upgraded features include fresh interior paint, new carpet in select rooms, a new HVAC system, and upgraded granite kitchen countertops. This home comes with a 30-day buyback guarantee. Terms and conditions apply." 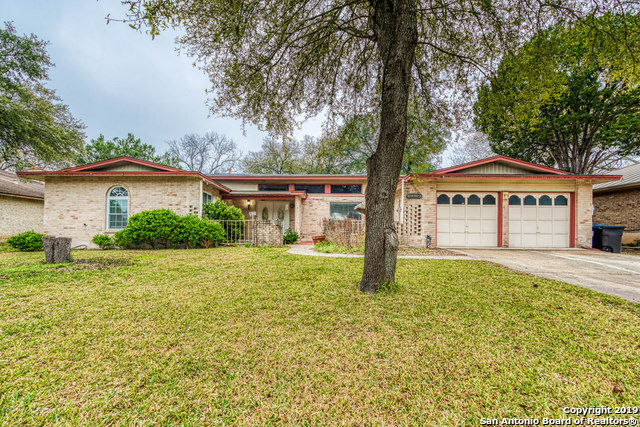 "This San Antonio one-story offers a step-in tiled shower in the master suite, formal dining room, covered patio, and a two-car garage. Upgraded features include fresh interior paint. This home has been virtually staged to illustrate its potential! Thanks for viewing! This home is not part of an HOA."